Much like the unmanned aircraft flying over war zones in Afghanistan or along U.S. borders, these aircraft are small enough to into the back of an SUV. But each carry a camera and can provide streaming video to a police officer piloting the plane from the ground. Coordinating the project — part research, part law enforcement — is Al Frazier, a Grand Forks deputy sheriff and an assistant professor at the University of North Dakota. Sheriff's deputies and police officers from the Grand Forks area have been training since last fall, Frazier said. "I really think these are going to be situationally deployed over an incident," Frazier said. "I don't think they're going to be used extensively for covert surveillance, so I see them more as a tactical resource rather than a strategic resource used for intelligence gathering." The small aircraft have some limitations. They can't fly in high winds or low clouds. Operation usually requires two people — a pilot and a sensor operator to monitor the video. The fixed-wing plane from AeroVironment, Inc., has about a four-foot wingspan, can stay in the air more than an hour and carries a price tag of about $175,000. The helicopter, by Draganfly Innovations Inc., is about three feet long, can stay aloft for about 30 minutes and costs about $45,000. The aircraft are being provided free for this project. Frazier believes the aircraft will be useful for things like monitoring a location before a drug raid, or looking for a fleeing burglary suspect. 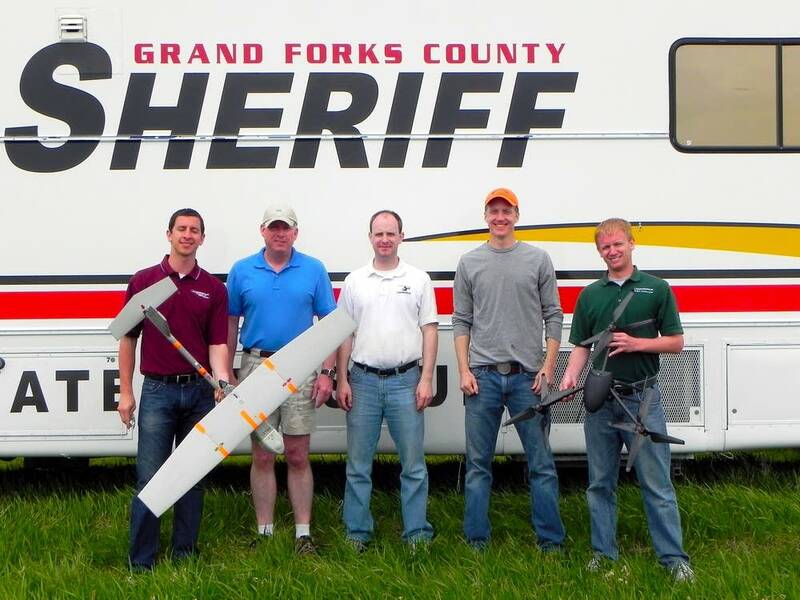 He hopes what is learned in Grand Forks will help expand the use of small unmanned aircraft for law enforcement. "I really envision it being like a canine officer team," Frazier said. "You would have officers and deputies cross-trained as small unmanned aircraft operators. They would have the aircraft in their patrol vehicles." By this spring, law enforcement in Grand Forks and 16 surrounding North Dakota counties expect to begin regularly operating unmanned aircraft. Frazier said. The FAA restricts the use of unmanned aircraft, but the University of North Dakota was granted a waiver to operate the aircraft. The FAA will not allow the aircraft to cross the state line into Minnesota. 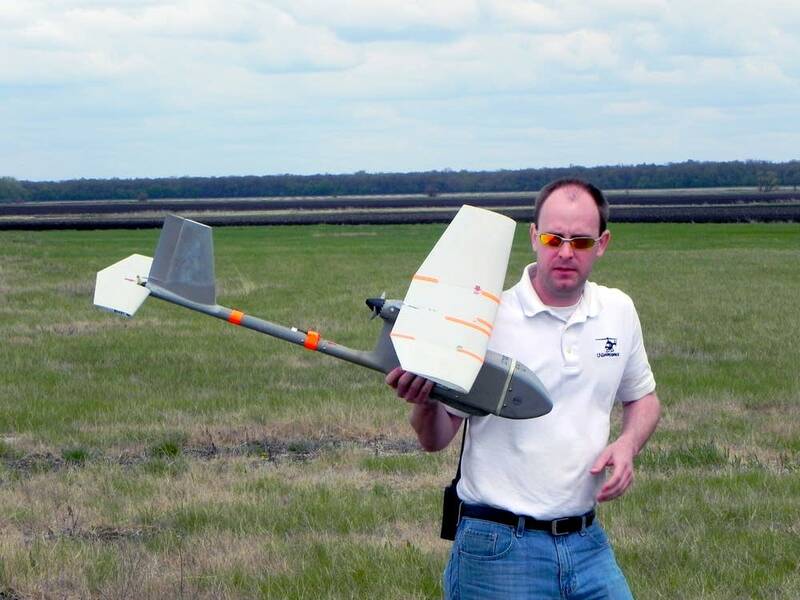 Frazier said he is not aware of any Minnesota cities or counties that use unmanned aircraft. The FAA did not respond to a Minnesota Public Radio request for information about which agencies have been granted waivers to fly unmanned aircraft. A Minnesota Department of Public Safety spokesman said the agency is following the issue closely, but does not have plans to seek permission to use unmanned aircraft until the FAA clarifies the rules for flying them. Draganflyer Photo courtesy Draganfly Innovations Inc. 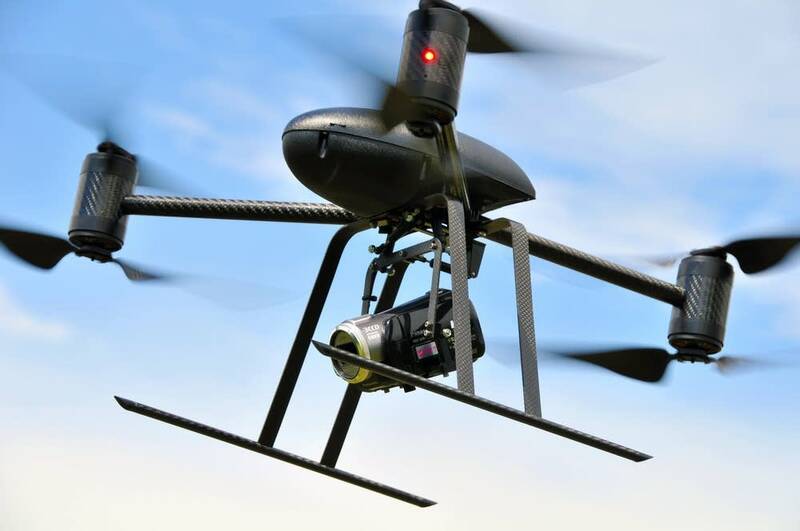 The FAA is expected to begin developing new rules for small unmanned aircraft over the next several months. The prospect of police officers operating unmanned aircraft raises privacy concerns for some people. "As an academic who studies that it's fascinating. But when I go outside and imagine the customs and border patrol flying their Predator over and looking at me or my house — now I'm not so excited," said Joe Vacek, who teaches aviation law at the University of North Dakota. He is also a licensed pilot and has training to fly unmanned aircraft. "The fact that this is happening seems to me violates some reasonable expecation of my own privacy." Vacek said growing use of unmanned aircraft by both federal and local law enforcement raises questions about privacy protections. And based on current interpretation of law, he said, police are free to watch anyone who can be seen from the air, without obtaining a warrant. He expects the issue to undergo much more scrutiny as more law enforcement agencies begin to surveil using unmanned, remotely piloted aircraft. "I guess the worst possible Orwellian scenario could be law enforcement agencies using and deploying these things without probable cause, just willy-nilly," Vacek said. "If you look askance at an officer, you might have a UAS orbiting over your house for a little while, just to make sure everything is OK. No search warrant necessary. I think that probably would provoke quite a strong public backlash." Vacek said it will be interesting to see if Americans expectation of privacy changes as surveillance increases. Frazier said officers will follow the law when using unmanned aircraft. He believes the technology will fail if the public views it as an intrusion on their privacy. "You can have the greatest technology in the world. You can stand behind previous Supreme Court cases on the lawfulness of using it," Frazier said. "But if the public — who is really running our government — if they turn against a technology, it's going to be very difficult to implement it."